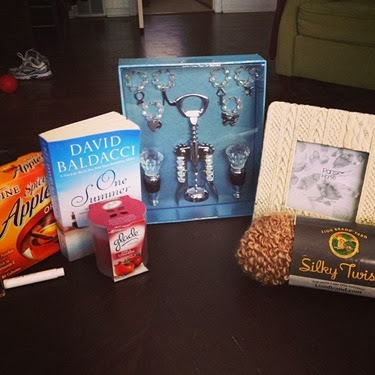 I once again participated in the Cara Box Exchange, hosted by Wifefessionals. The exchange is now over a period of three months, so that we can get to know our partners for a longer period of time. This time around, the theme was Shine – we were encouraged to find out what makes our partner shine and to make a box that complimented those things about her. In the past, Kaitlyn has matched up partners based on whether or not they have a blog. Starting with this exchange period, the swap is now based around Instagram. Therefore, to participate, you must have a way to post to and follow people on Instagram. The requirement was also given that you must post at least once a week to Instagram. Well, since I got my iPhone last year, I do use Instagram. But I feel like my blog says more about me than my Instagram account does, and I enjoy getting to know people by reading their blogs. So I was a little sad that the swap was no longer based on blogs. This round, the partners were also paired up by state. So the person I sent to and the person I received from both reside in Kansas. Now, Kansas is a large state, so I fully expected my partners to live 3+ hours away from me. The person I received a box from does live far from me – in Wichita KS. However, the person I sent to lives maybe 10 minutes from me! I was so excited to realize that! 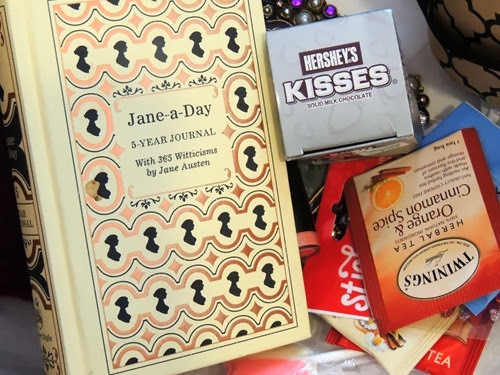 Things to make me shine – as Sally wrote: candles for my home, lipstick for my face, a journal and tea for my soul. I love it all! I was lucky enough to be matched to send to Tracie, who like I said resides maybe 10 minutes away from me! We got to know each other through emails and learned that we have a lot in common, including the fact that we both knit and that we are both social workers (well I used to be one, she still is one)! Instead of using the mail system for our exchange, Tracie and I set up a date to meet each other! While both her fiancé and my husband may have suggested that we should be concerned about meeting people we’d only met online, we had a great time together and hopefully will hang out again soon! 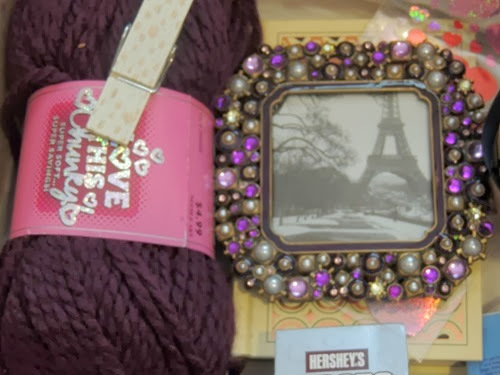 We managed to neglect taking photos while together, but here is the picture that Tracie posted of the goodies that I gave her! 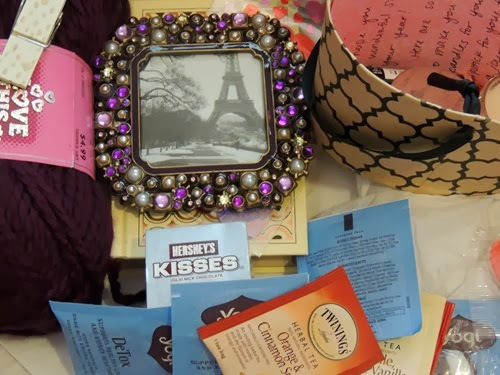 I am not sure I will participate in the Cara Box Exchange again for the next round. I really preferred when pairs were made based on blogging as opposed to Instagram. I guess I will decide next month when the sign ups open again! Thanks so much to Sally for my package and Tracie for becoming my friend! 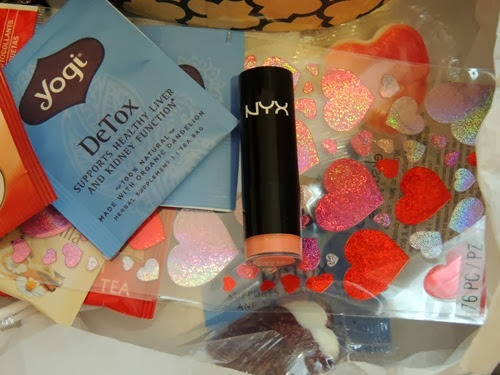 If you participated in the Cara Box Exchange, what did you think of the Instagram requirement?